Kick off your visit on the 28th (Fri): appreciate the extensive heritage of Le Suquet and then stroll through Lérins Islands. 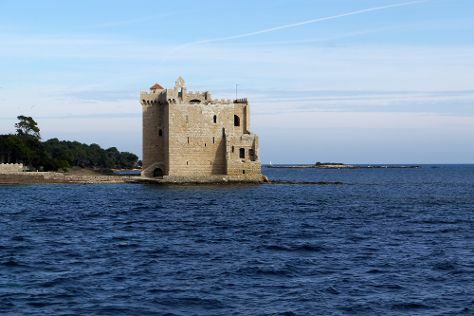 Get ready for a full day of sightseeing on the 29th (Sat): make a trip to Les Murs Peints, take a tour by water with Boat Tours & Water Sports, and then head off the coast to Ile Sainte-Marguerite. To find ratings, other places to visit, photos, and tourist information, read our Cannes trip planning website . Skopje, Republic of Macedonia to Cannes is an approximately 9-hour flight. You can also do a combination of train and flight; or drive. When traveling from Skopje in June, plan for a bit cooler days and about the same nights in Cannes: temperatures range from 30°C by day to 19°C at night. 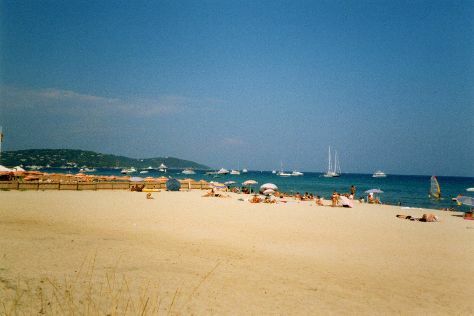 Finish your sightseeing early on the 29th (Sat) to allow enough time to drive to Saint-Tropez. Saint-Tropez is a town, 100km west of Nice, in the Var department of the Provence-Alpes-Côte d'Azur region of southeastern France. Start off your visit on the 30th (Sun): kick back and relax at Plage de l'Escalet and then enjoy the sand and surf at Plage de Pampelonne. To plan Saint-Tropez vacation without wasting time, ask Inspirock to design an itinerary. Drive from Cannes to Saint-Tropez in 1.5 hours. Alternatively, you can do a combination of train and bus. Traveling from Cannes in June, expect nights in Saint-Tropez to be about the same, around 17°C, while days are a bit warmer, around 34°C. Wrap up your sightseeing on the 30th (Sun) to allow time to drive to Cassis. Cassis is a commune situated east of Marseille in the department of Bouches-du-Rhône in the Provence-Alpes-Côte d'Azur region in southern France.It is a popular tourist destination, famous for its cliffs (falaises) and the sheltered inlets called calanques. 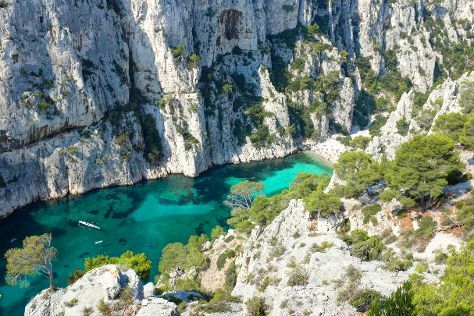 Start off your visit on the 1st (Mon): head off the coast to Ile des Embiez and then take in the dramatic natural features at Calanques. Get ready for a full day of sightseeing on the next day: head outdoors with Route des Cretes, get in on the family fun at Aqualand Cyr Sur Mer, and then make a trip to Chapelle Notre-Dame de la Garde. For ratings, reviews, and other tourist information, read our Cassis trip itinerary planning app . Traveling by car from Saint-Tropez to Cassis takes 1.5 hours. Alternatively, you can take a train; or do a combination of bus and train. In June, plan for daily highs up to 32°C, and evening lows to 20°C. Wrap up your sightseeing on the 2nd (Tue) early enough to drive to Antibes. The prosperous French Riviera resort town of Antibes is a popular summer destination featuring tons of beaches to suit couples, families, and any type of lifestyle, along with dozens, if not hundreds of cafes, bars, and salons de thé (tea) along the Mediterranean coast. Kick off your visit on the 3rd (Wed): get up close and personal with brilliant marine life at Marineland. For reviews, traveler tips, ratings, and tourist information, go to the Antibes sightseeing website . Traveling by car from Cassis to Antibes takes 2 hours. Alternatively, you can take a train; or take a bus. When traveling from Cassis in July, plan for slightly colder days and about the same nights in Antibes: temperatures range from 32°C by day to 24°C at night. Wrap up your sightseeing on the 3rd (Wed) early enough to take a train to Nice. Kick off your visit on the 3rd (Wed): test your problem-solving skills at popular escape rooms. On the 4th (Thu), you'll have a packed day of sightseeing: enjoy the sand and surf at Castel Plage, then wander the streets of Vieille Ville, and then don't miss a visit to Promenade des Anglais. To see where to stay, traveler tips, maps, and more tourist information, go to the Nice trip itinerary planning website . Nice is just a short distance from Antibes. Expect a daytime high around 32°C in July, and nighttime lows around 25°C. You will have some time to spend on the 6th (Sat) before leaving for home.